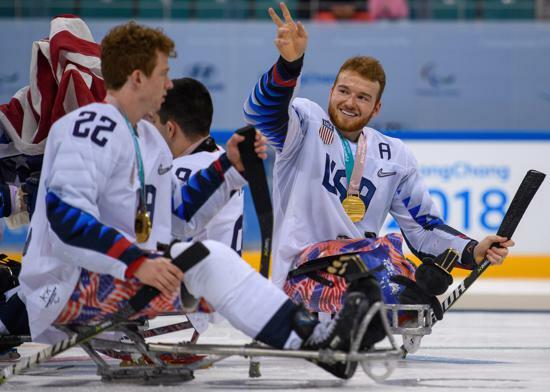 GANGNEUNG, South Korea – Declan Farmer (Tampa, Fla.) scored the equalizer with just 37.8 seconds to play in the third period and tallied his second of the game 3:30 into overtime as the 2018 U.S. Paralympic Sled Hockey Team topped Canada, 2-1, here today to win an unprecedented third consecutive gold medal at the Paralympic Winter Games. 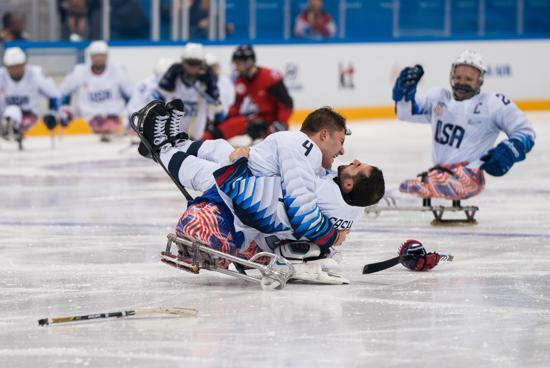 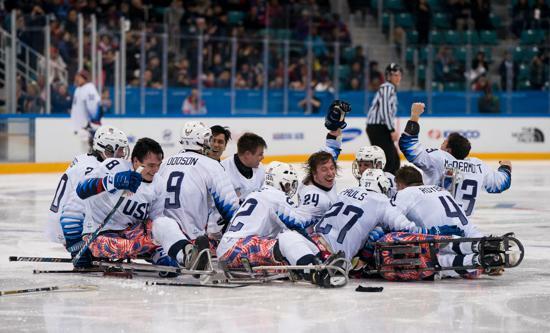 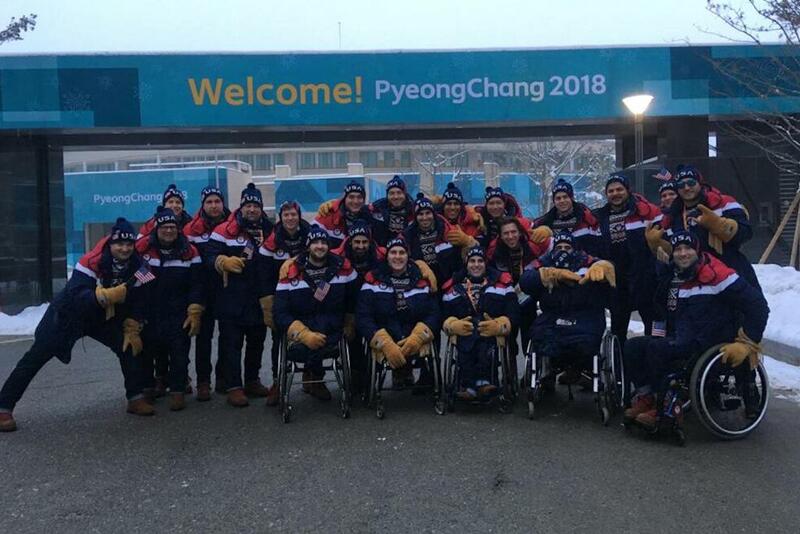 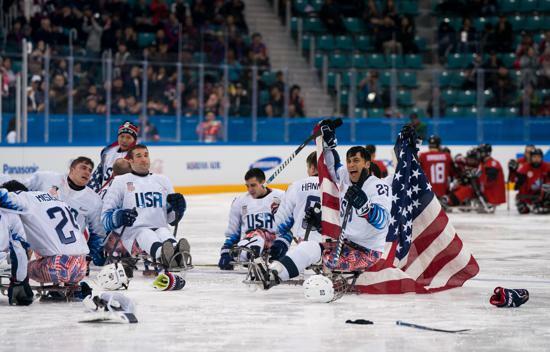 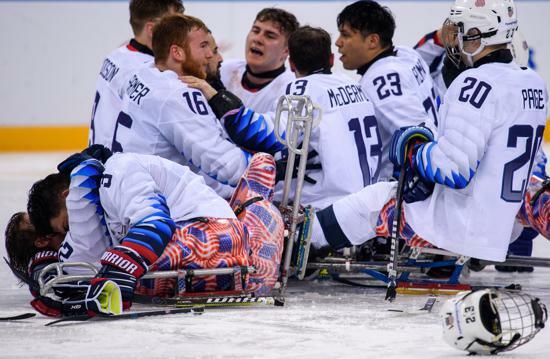 "This was a tremendous game to have been apart of and something this group will remember forever," said Guy Gosselin, head coach of the 2018 U.S. Paralympic Sled Hockey Team. 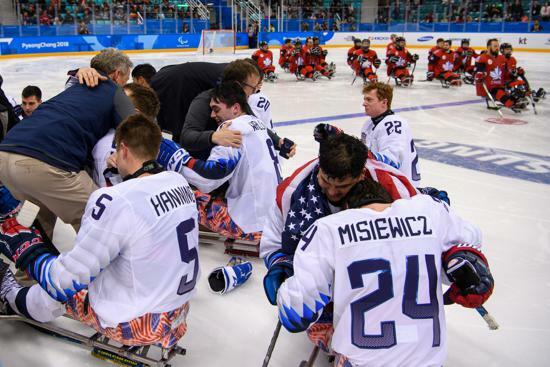 "It was an absolute honor to coach this team and help them finish the mission Coach Sauer started, and that was to ultimately win this Paralympic gold medal." 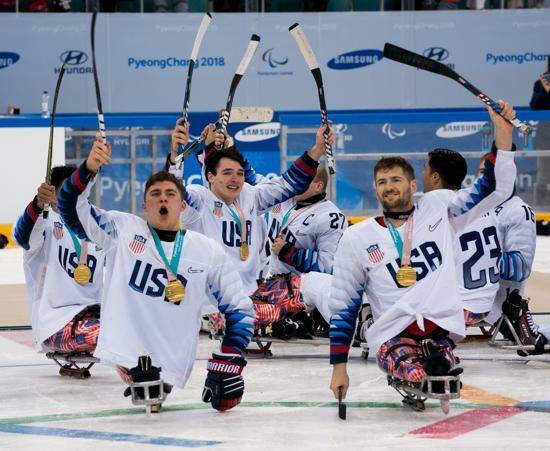 In six Paralympic Winter Games, the United States has now won four gold medals (2002, 2010, 2014, 2018) and one bronze medal (2006). 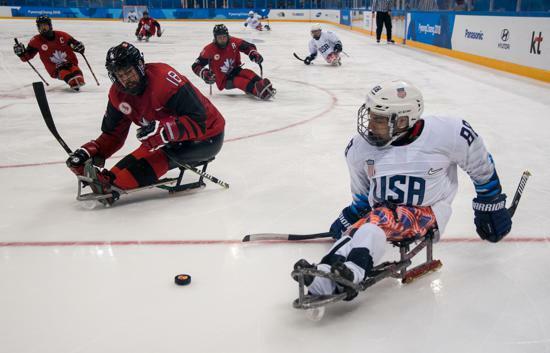 The game opened with end-to-action action in the first five minutes of play. 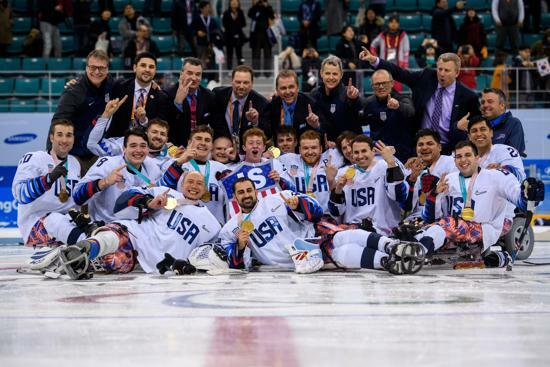 Team USA’s best chance came near the four-minute mark, when Travis Dodson (Deming, N.M.) outraced a Canadian defenseman for the puck but saw his shot near the circle deflect off the side of the goal. 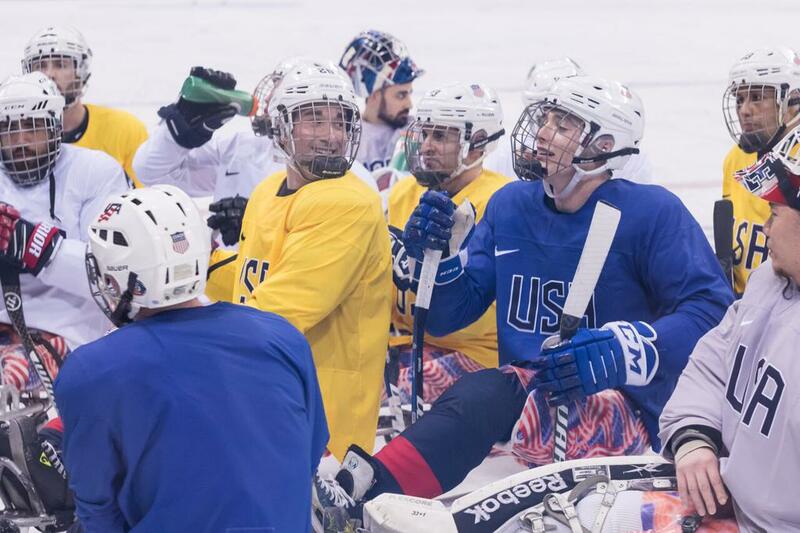 U.S. netminder Steve Cash (Overland, Mo.) 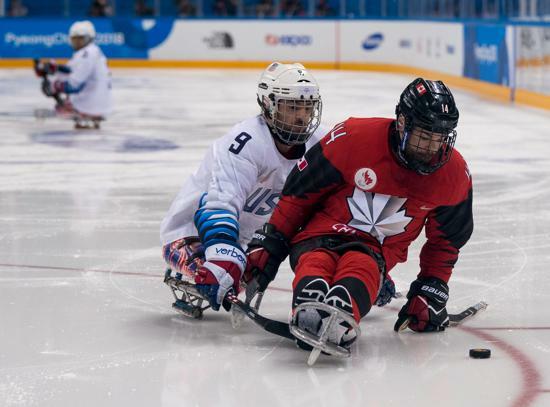 was called upon twice midway through the period to deny a pair of Canadian chances as the game remained scoreless. 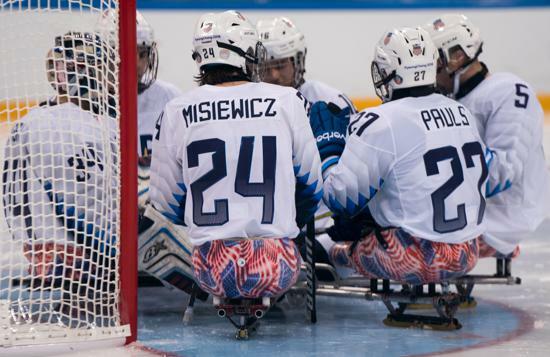 Josh Misiewicz (La Grange, Ill.) nearly opened the scoring at the 10-minute mark when he and Kevin McKee (Chicago, Ill.) saw their forecheck in the left corner generate a scoring opportunity that was turned aside by Canada’s Dominic Larocque at the right post. 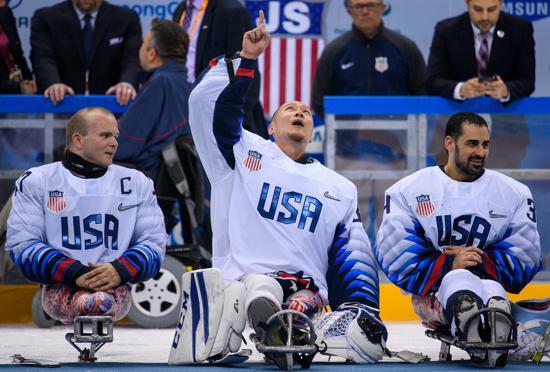 With 2:54 remaining, Canada took a 1-0 lead when Billy Bridges’ shot from the left faceoff dot bounced off of Cash’s blocker and into the net. 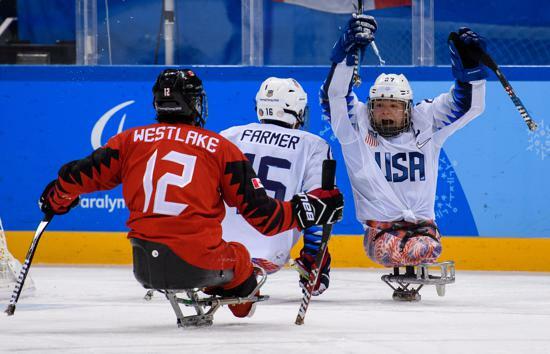 The United States opened the middle frame with back-to-back chances on the same shift. 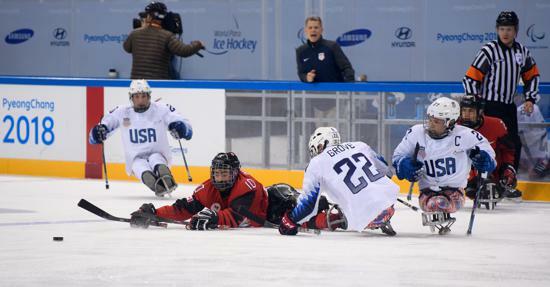 The first opportunity came when Brody Roybal (Northlake, Ill.) crossed the blue line and fired a cross-ice pass that Farmer deflected inches wide of the left post before seconds later captain Josh Pauls (Green Brook, N.J.) saw his shot from the blue line gloved aside by Larocque. 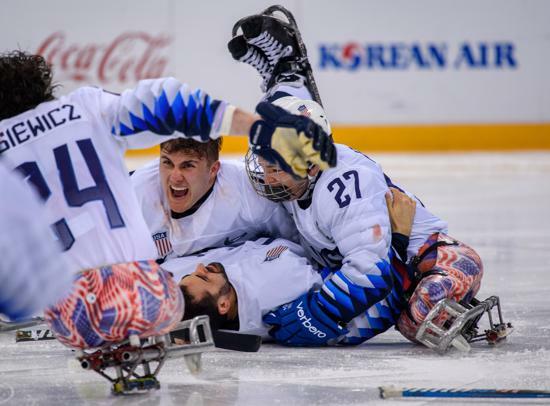 Roybal was behind Team USA’s next best scoring opportunity midway through the frame after he skated in to the right of goal and flicked a backhanded effort that Larocque was forced to header away. 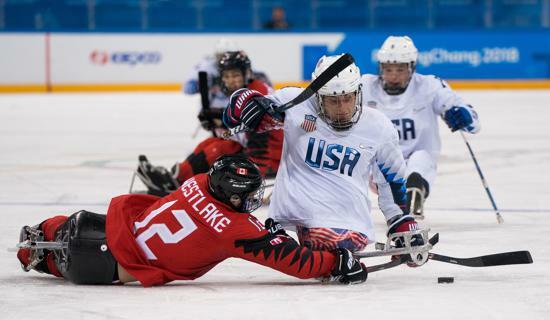 In the final minute of the stanza, Farmer generated another U.S. scoring chance by carrying the puck across the blue line and firing a shot on goal but it, too, was denied as the teams entered the third period with Canada still leading, 1-0. 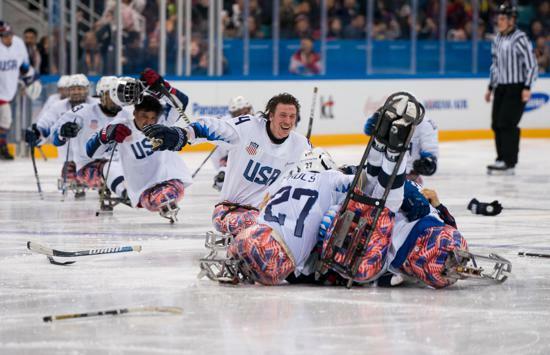 The U.S. opened the third period with a power play opportunity just 1:02 into the frame. 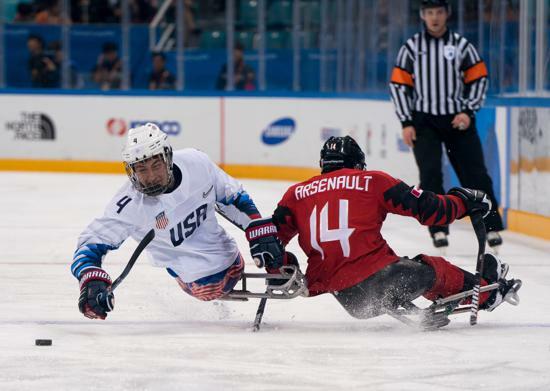 The man-advantage saw a number of scoring chances, with Team USA nearly tallying the equalizer after Misiewicz dished the puck down low to Farmer at the top of the crease but he was unable to get a shot off. 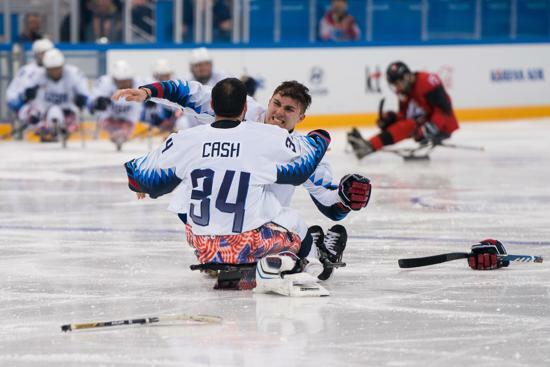 In the final minute, Team USA pulled Cash for the extra attacker. 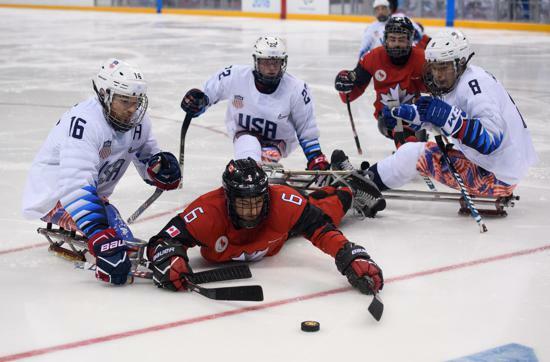 After Canada had an attempt on the empty net ring off the post, the U.S. countered and Farmer buried a loose puck in front of goal to even the score with 37 seconds to play. 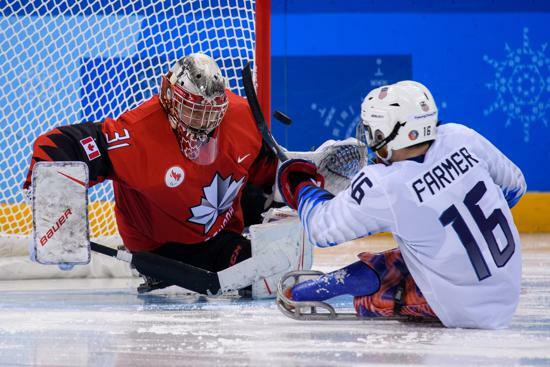 The teams entered a 15-minute, four-on-four sudden death overtime period, where Farmer beat Laroque glove-side for the winner at 3:30 of the frame. 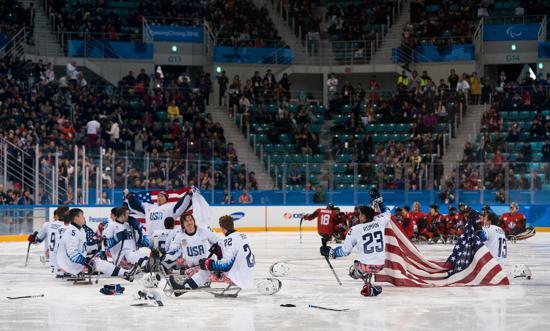 NOTES: The U.S. outshot Canada, 16-12, went 0-for-2 on the power play and finished 1-for-1 on the penalty kill. 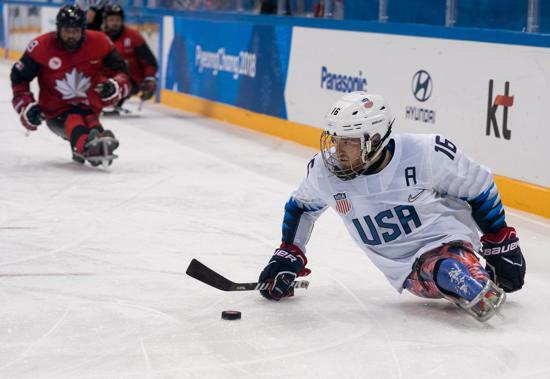 For complete game statistics, click here ... Deloitte, Labatt USA and Toyota are proud sponsors of the 2018 U.S. Paralympic Sled Hockey Team … Forward Brody Roybal (Northlake, Ill.), with 16 points (10-6), was named Best Forward and Most Valuable Player of the tournament ... Declan Farmer (Tampa, Fla.) finished as the tournament's leading goal scorer with 11 goals while his 17 points also led all skaters. 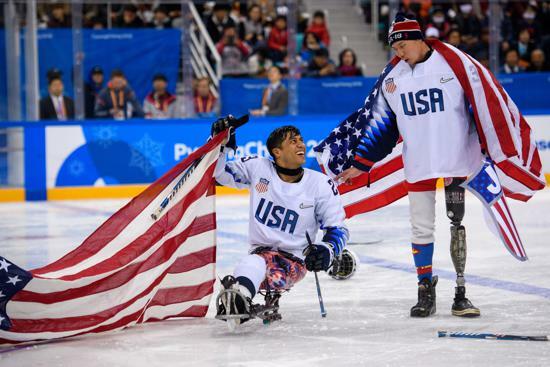 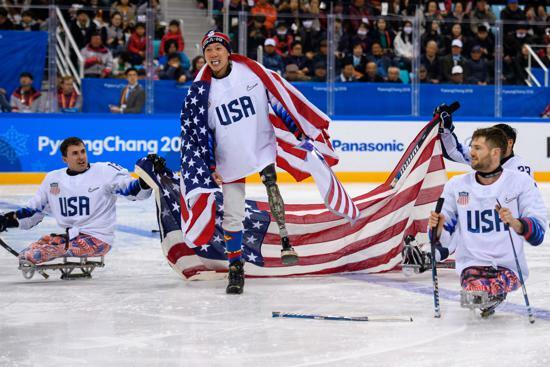 With 11 goals, Farmer now shares the U.S. and Paralympic record for most goals scored in a single Paralympic Winter Games, which was set by Sylvester Flis in 2002. 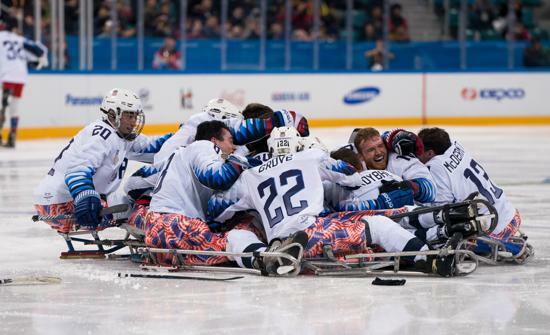 In addition, his 14 Paralympic career goals is also a U.S. Paralympic record ... Goaltender Steve Cash (Overland, Mo.) 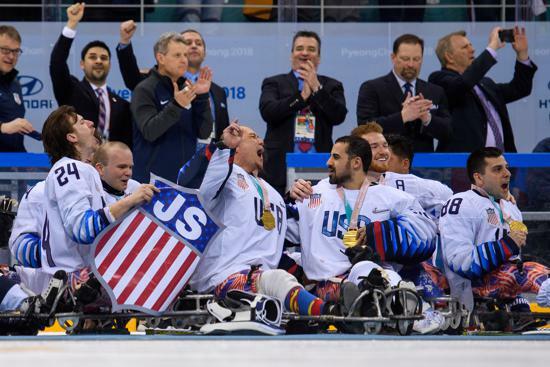 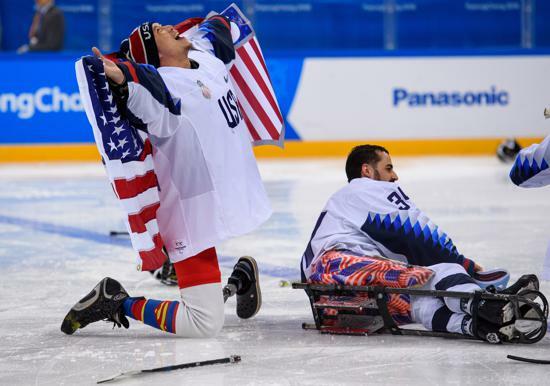 is now a perfect 3-0 in Paralympic gold-medal games with wins in 2010, 2014 and 2018 ... Dan Brennan (Colorado Springs, Colo.), director of sled national teams for USA Hockey, is serving as the general manager of the 2018 U.S. Paralympic Sled Hockey Team … Guy Gosselin (Grafton, Wis.), a two-time U.S. Olympian (1988, 1992) and USA Hockey’s regional manager of the American Development Model, is head coach of Team USA … USA Hockey’s international council, chaired by Gavin Regan (Potsdam, N.Y.), vice president of USA Hockey, has oversight responsibilities for the U.S. Paralympic team.